Ready for the Big Game? Super Bowl 2015 promises to be an exciting day for football fans across the country, especially those of us who are wrapped around the drama of #deflategate. Although I (Stephen) love watching football, Art’s a bigger fan of the ooey and gooey munchies. And beer. Oh, yeah, and the commercials. Did I mention beer? Whether you’re enjoying the day for the game or food, here are a few of LatinoFoodie’s favorite Mexican-fusion appetizers that will score a touch down with your guests. Simply click on the pictures below and follow the link to the recipes for Guacamole, Platano cups filled with Frijoles con Chorizo, Fiery Shrimp Cocktel, and a Habanero and Mango Dipping Sauce. 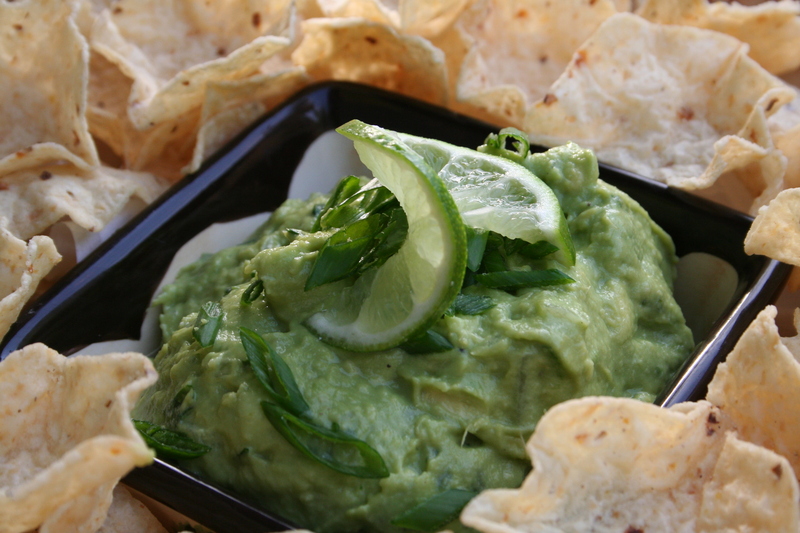 Guacamole — Creamy and flavorful. 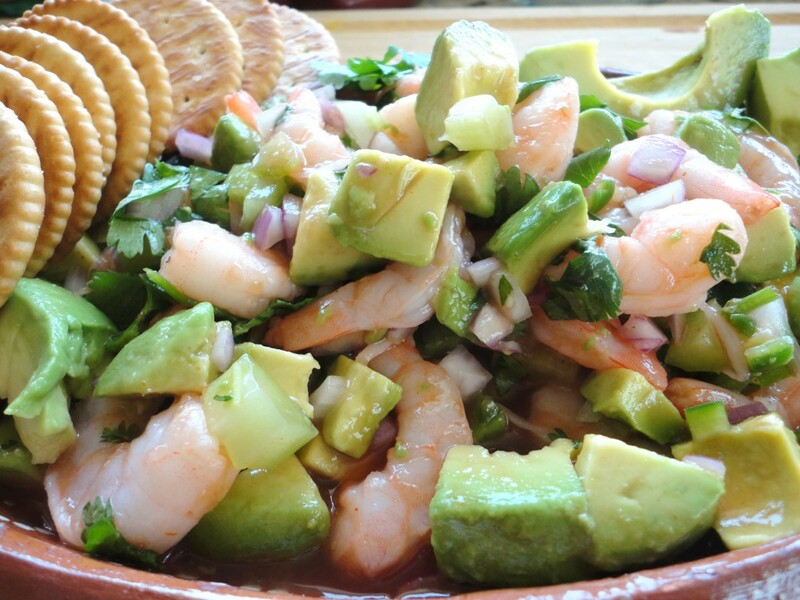 Perfect as a dip or to spread on tortas. 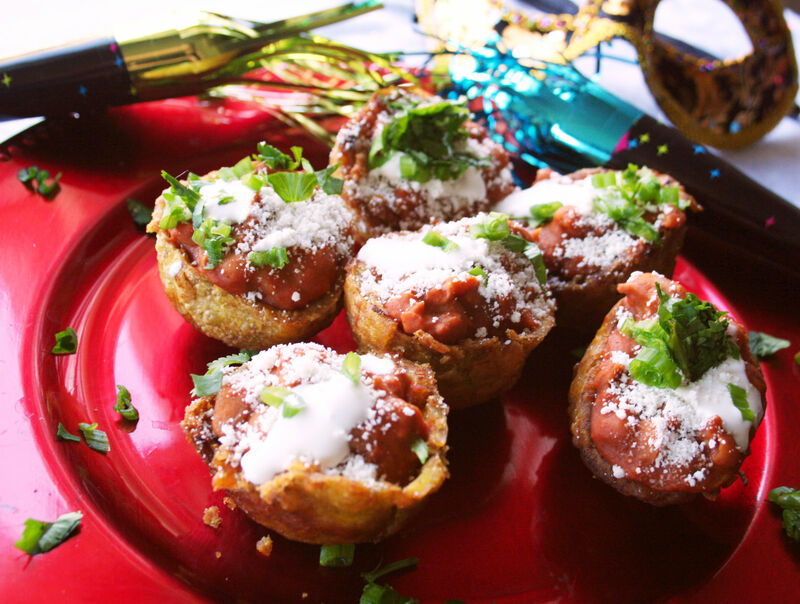 Pork Chorizo and Beans Fried Plantain Cups — Perfect bitesize appetizer. Serve warm and keeps well at room temperature. Fiery Shrimp Cocktel– One of our top recipes on the blog. The plump, sweet shrimp delights in the lime and tomato juices. Watch out for the serrano chile peppers! They have a kick! 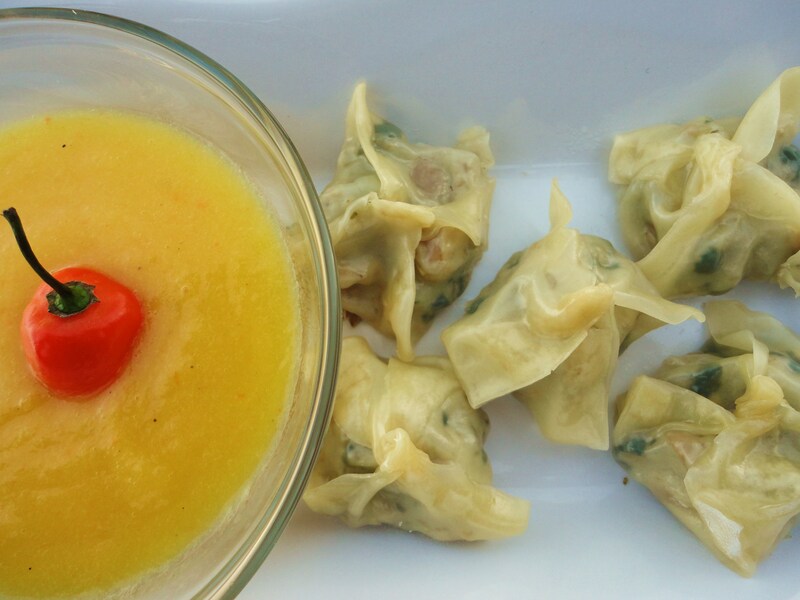 Spicy Habanero and Mango Dipping Sauce — Whether dipping egg rolls or dumplings the sweet and hot sauce will perk up your taste buds for sure. Son this is delicioso!!!! I just finished making this cocktail or salad??? Right now I am savoring it.!yum!! of course I made mine with out the hot stuff,you know what a chicken your mother is,it still came out scrumptous—love always Mom—–ps how is your eye?? ?